This is a delicious, nutritious food supplement formulated to help increase weight, build muscle and increase energy and endurance. Besides high quality Amino acids, this product provides the benefit of additional L-Arginine and L-Ornithine, the natural anabolic alternative to steriods. Protein is the main constituent of the muscles, skin, hair, nails, eyes and internal organs. It accounts for 20% of our total body weight and a daily take is required for good health. Carbohydrates are the chief source of energy for all body functions and muscular exertion. 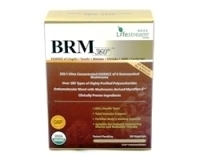 This product provides a balance of both protein and carbohydrates. 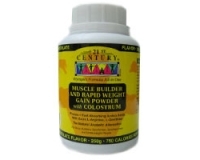 Ideal for body builders, sportsmen, sportswomen, during convalescence , or for underweight people of all ages. Mix two heaped tablespoons of powder in a glass of milk or water . Take once or twice a day. Mix two heaped tablespoons in water and consume 30-40 minutes before training or competition. Colostrum, Whole Milk Powder, Whey Powder, Buttermilk Powder, Calcium Caseinate, Lactalbumin, Malt, Egg Powder, Soya Protein, Lecithin, Natural Chocolate Flavor. 750 Calories per Serving. No Sugar, Artificial Sweeteners, No Artificial Coloring and Preservatives.